￼One of my favorite spots on the Stanford campus is the Rodin Sculpture Garden. For the last few months a fence has separated the sculpture garden from the construction site of the new McMurtry building, which is replacing the condemned dissection lab where years ago med students learned their first surgery chops. The old Mediterranean style building came crashing down in a day, then a deep hole was dug by big noisy machines, and ton after ton of concrete poured for the building’s foundation. Finally, McMurtry’s steel girders were welded into place and they now tower over Thinker’s fence. All in all it was a pretty noisy process. I’m sure the art history building will be a great achievement and a worthy addition to the campus, but I won’t mind it when the construction noise fades to leave Rodin’s sculptures to their tormented peace and visitors can hear themselves think again. Photo taken on my iPhone and colorized in the Adobe Revel app before downloading. 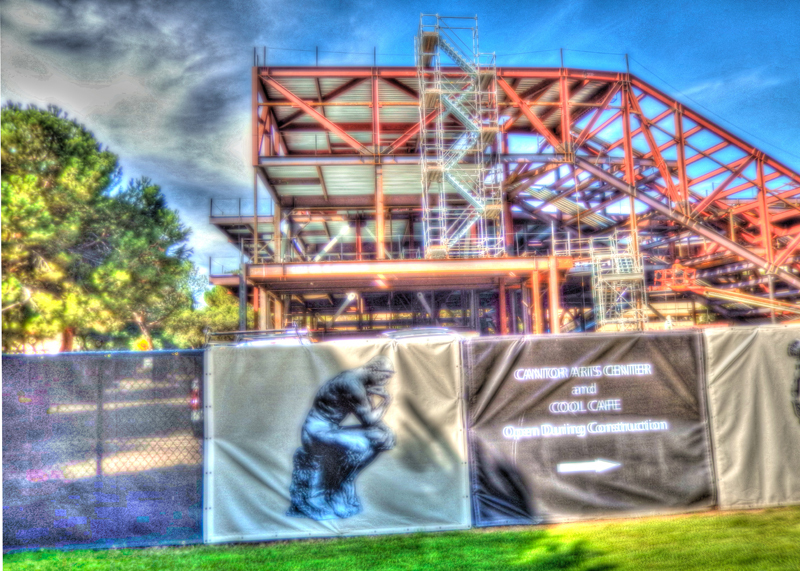 This entry was posted in Places, Stanford and tagged cantor arts center, iPhone, Rodin Sculpture Garden, Writing 101 by carto. Bookmark the permalink.